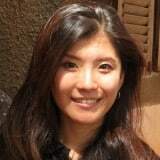 Junko Tashiro is an Class of 2013 Acumen Global Fellow. She is working with GADCO in Ghana. We launched the first TEDxOsu event on June 1 in Accra. Our goal was to discuss pressing issues faced by Ghana, to shed light on the opportunities and potential that its people possess, and to collectively envision the country’s future in the next 10 years.